International music group Daysahead was recently featured at the 2009 Intwasa Arts Festival in Zimbabwe. They were honored to be the only American group as they represented the U.S. Embassy and performed masterclasses and a concert at the festival in Africa. Daysahead has performed other major festivals including the Capital Jazz Festival, Atlanta Jazz Festival, Montreux Jazz Festival, Capital Jazz Supercruise (Bermuda), Bayfest Music Festival, National Black Arts Festival, Capital BBQ Battle Fest, Richmond Fine Arts Music Festival, NY Harborfest, Live! On Woodrow Wilson Plaza, Jazz In The Garden National Arts Gallery. The band also performs high profile events including CNN Black In America film pre-screening, & world-renowned poet/author Maya Angelou's 80th Birthday Party. Daysahead has shared the bill with and opened for national and international artists including Chaka Khan, George Duke, Al Jarreau, Rachelle Ferrell, Al Green, Marcus Miller, Stanley Clark, Victor Wooten, Fourplay, Roy Ayers, Lalah Hathaway, Maysa Leak, Norman Brown, Kirk Whalum, Earl Klugh, Gerald Albright, Patti Austin, Michael Franks, Ledisi, Will Downing, The Brand New Heavies, En Vogue, Fertile Ground, Angie Stone. Daysahead is an awesome duo consisting of guitarist/producer/songwriter Steve Wright (Richmond, VA) and vocalist/lyricist/songwriter Kim Leachman (Baton Rouge, LA). In 2003, Daysahead was born out of a partnership between Steve and Kim. While performing as electric guitarist and background singer, respectively, for Aezra Records recording artist Crea, Steve approached Kim to co-write and demo a few of his songs. After one writing session together the duo knew they were on to something special. “You Move Me” was their first collaboration. Steve called up a few musician friends, and the group immediately began recording their debut cd, Turning Point. 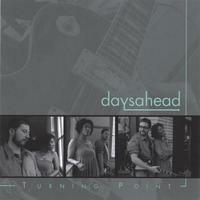 Daysahead has an edgy soulful sound with a jazz-rock fusion, coined as Jazz-n-Roll. Since its release, Turning Point has received critical acclaim, and Daysahead has attracted diverse and loyal fans from all over the world to their music. Daysahead's music crosses all ages, genders, and cultures. Whether performing beautiful and energetic acoustic duo sets or even more high energy sets with their quartet, Daysahead's originals along with their own catchy arrangements of familiar cover tunes make for a very well rounded show leaving their audiences satisfied and coming back for more. Nominated BEST DUO/GROUP of the year for the SoulTracks Readers’ Choice Awards & nominated BEST BAND and BEST ALBUM of the year for the RockWired Awards, Daysahead's video of their breakout single You Move Me, is currently being featured on BET J “Soul Sessions”, and they received encore airings of their live performance of “You Move Me” and “Falling Flower” on TBS STORYLine Soundstage. Daysahead has also been featured on CBS Better Mornings, and BRAVO TV Network. Contributing musicians on Turning Point are bassists Myron Carroll, Jeff Smith, Aaron Clay and drummers James Barrett and Joe Lee. Daysahead performs as a duo or 4+ piece band including rhythm support of bass & drums for public and private events. Daysahead's single It's In Your Hands is currently featured on the MLK Dream On! compilation cd released January 2009. You can download songs from Dream On! for free or purchase the CD online @ www.thedreamcontinued.org . A portion of the proceeds from CD sales go to the following charitable organizations: Pathways To Peace (Oakland, CA), the REACH Complex (Atlanta, GA), and Pivot Legal Society (Vancouver, Canada). Credits and References provided upon request. All About Jazz musician pages are maintained by musicians, publicists and trusted members like you. Interested? Tell us why you would like to improve the Daysahead musician page.